Your Brand. One Stop. One Shop. 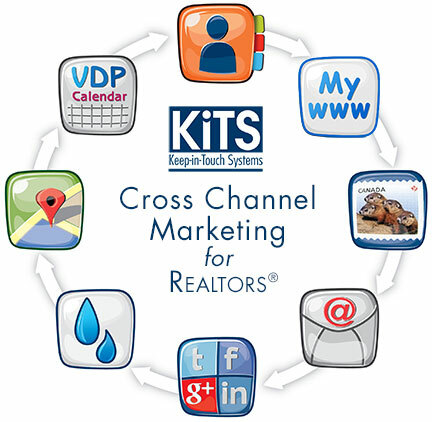 the KiTS Cross Channel Marketing Suite. Loop CRM – Hot. New. Exciting. 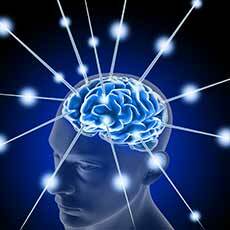 CRM designed for how you think. Built for how you work. In Office. On-the-go. Desktop. Mobile. In-sync, always. Loop is new CRM - Designed for Today! Easy to use! 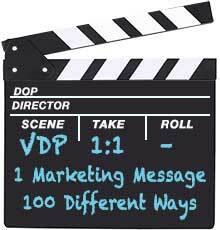 What: 10 Touchpoints. Sizes & shapes change issue to issue. Who: The people who already know you, like & trust you. Why: If you’re not on their “mind”, someone else is. 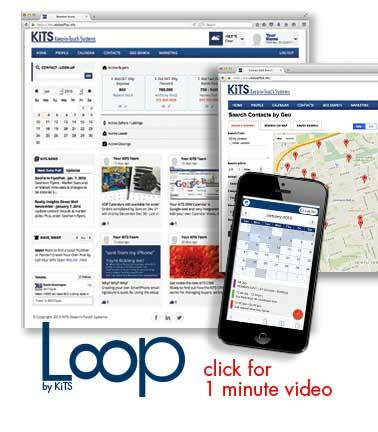 KiTS publishes real-time relevant communications from you, to your Referral Audience. It’s relevant & up-to-date, so it gets noticed. 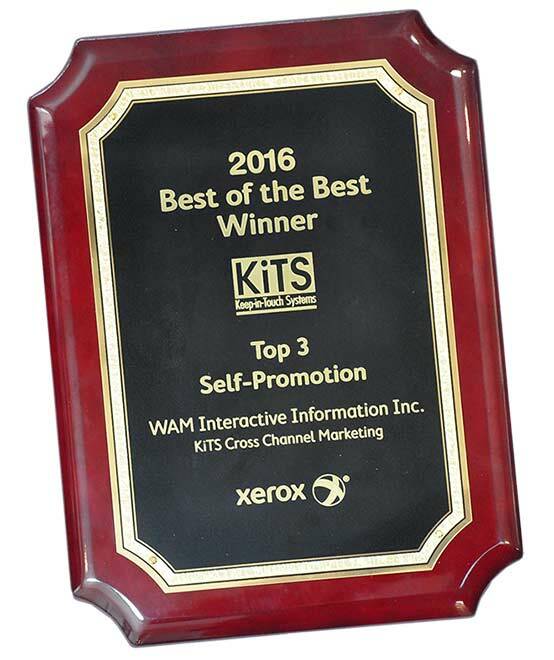 KiTS – MOST Brandable, MOST Variablized 1-to-1, MOST Personalized. 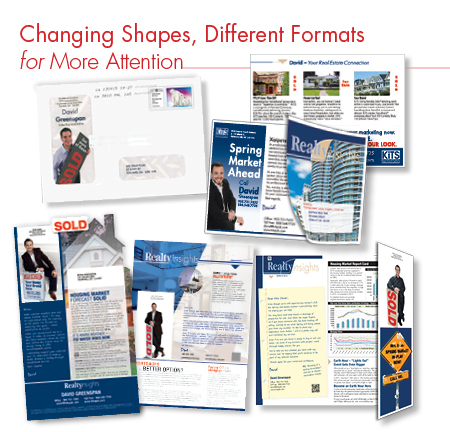 • Envelope sparks attention . • Stamped - Stamped mail gets opened. • Fast to Market – Real news written at time of production. 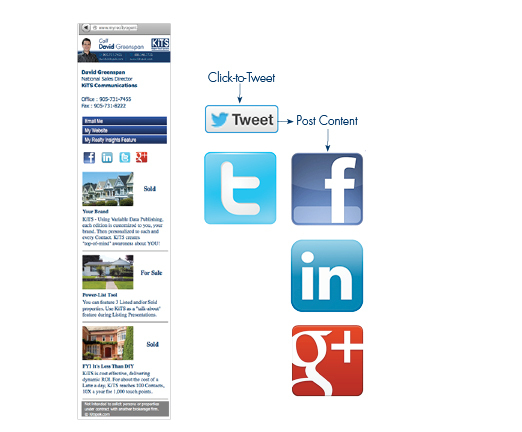 • Listing & Sold Picks – Show, Tell & Share your success. • Branded Template Library – for a different image each edition. What: Email News branded to you and from you. Who: Connected COI Influencers, Past Clients & Prospects. Why: This email strategy makes sense. • Fully Responsive to DeskTop, Tablet and Mobile devices. 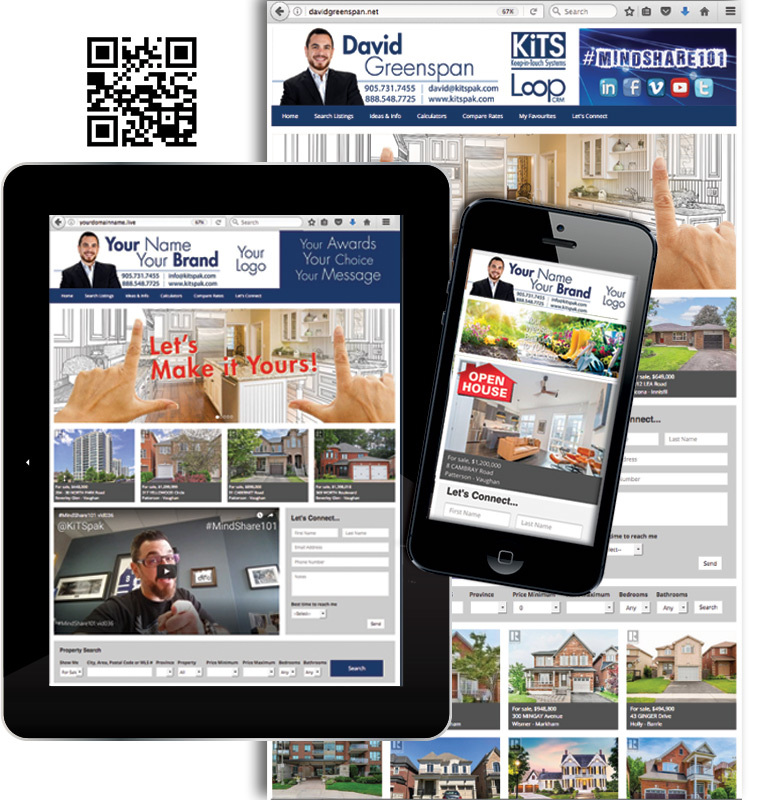 What: QR Code – Quick Link for SmartPhones, bridging paper & “e” Mobile WebSite – Website designed for readability on small SmartPhone screens. Why: Desktop-styled websites don’t fit onto SmartPhone screens. They’re hard to see & difficult to navigate. SmartPhone screens are the “new” web. Your KiTS marketing includes your personalized QR Code. PLUS, your own Mobile WebSite. 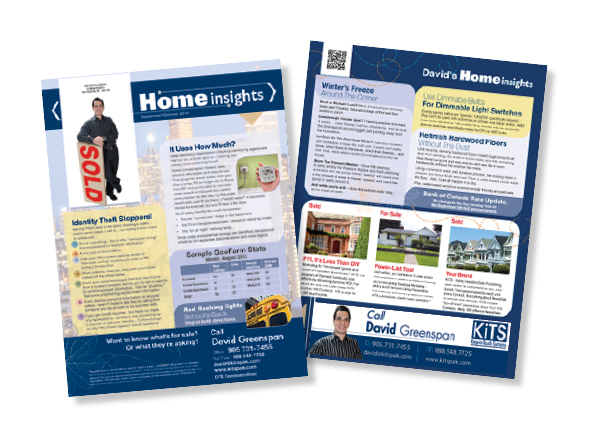 What: Direct Mail Drip Marketing. Who: Targeted directly to Buyers – Active & Near Term. or even 5 weeks later? Want to be their Agent? • Meet‘em Sunday – be in the mail Tuesday. • Your choice – Weekly or Every-Other-Week. • Start - Stop on a dime. • Personalized to “them” – it’s KiTS, so it’s VDP. • Easy to add super-personalized notes. 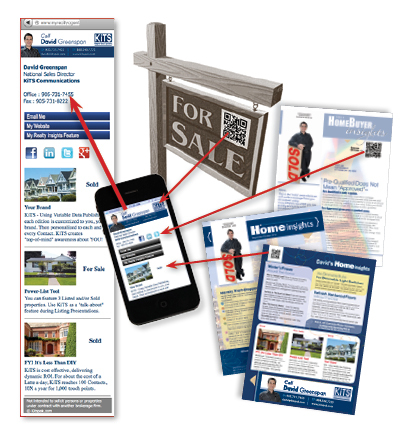 Buyer Drip Marketing is priced per unit, only when used. 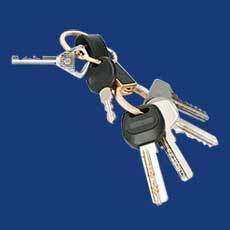 Campaigns can start - stop anytime, and can run from 1 to 42 weeks, or 1 to 21 weeks. When you Drip Market – you stay visible. They’re going to select an Agent - will you still be on their radar? What: Ready-to-use content & links to engage your Contacts. Who: Friends, followers, communities, boosters and influencers. Why: It keeps you current, relevant and visible. synonymous with “gems” worth sharing. Every day, your KiTS Member HomePage is updated so you always have something to “talk about”. You’re seen as always having your finger on the pulse of “what’s happening now”. 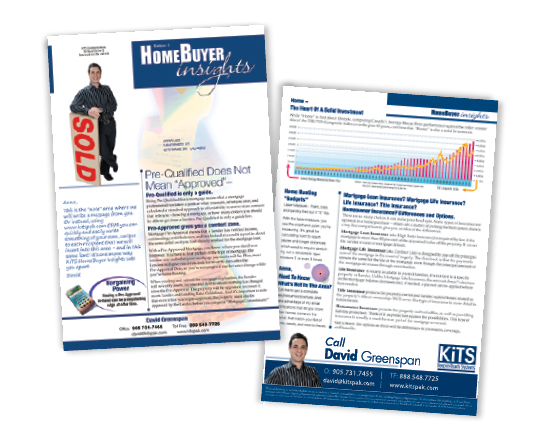 What: Marketing Flyer, matched to your brand. Who: Expand your marketing to GeoFarm and Open Houses. Why: Effective and optional add-on to your KiTS program. 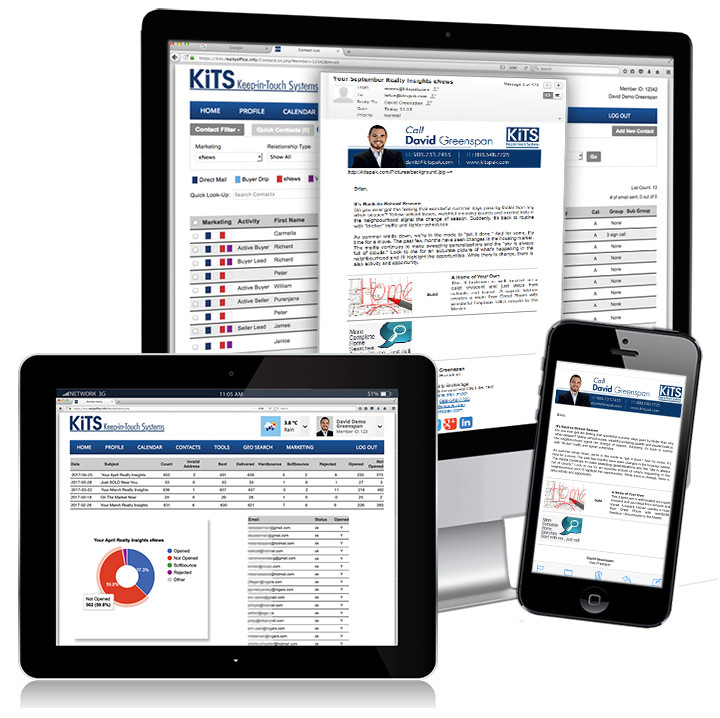 • Market Stats Charts – KiTS Market Charting. • Branded to you – front & back. • Coordinated to match your KiTS Newsletter. • Features your Market Picks - Listings & Solds. • Order GrabPaks of 30, 50, or more. 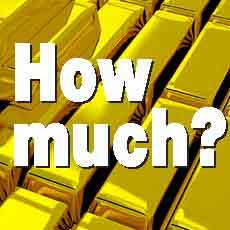 • Or, order a specific number of units. • Or, choose a 10x Subscription for greater savings. • Call us to find out if your Postal Code is available. What: 12 months of WOW! Who: Your COI. Your Boosters. Your Influencers. Calendars have become ho-hum. Everybody makes them. Everybody sends them. BUT, a KiTS calendar is “the” calendar that hangs around all year. It’s a keeper! Delivers 100% WOW! Your Contact’s name is a personalized part of the photo – every month. 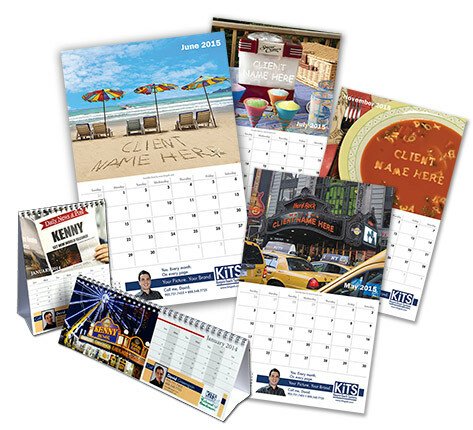 • 150 contacts = 150 very different calendars. • Every month is branded to you. 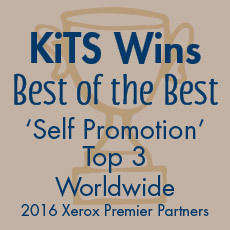 • You pick who receives …KiTS does the rest. Customized To You. 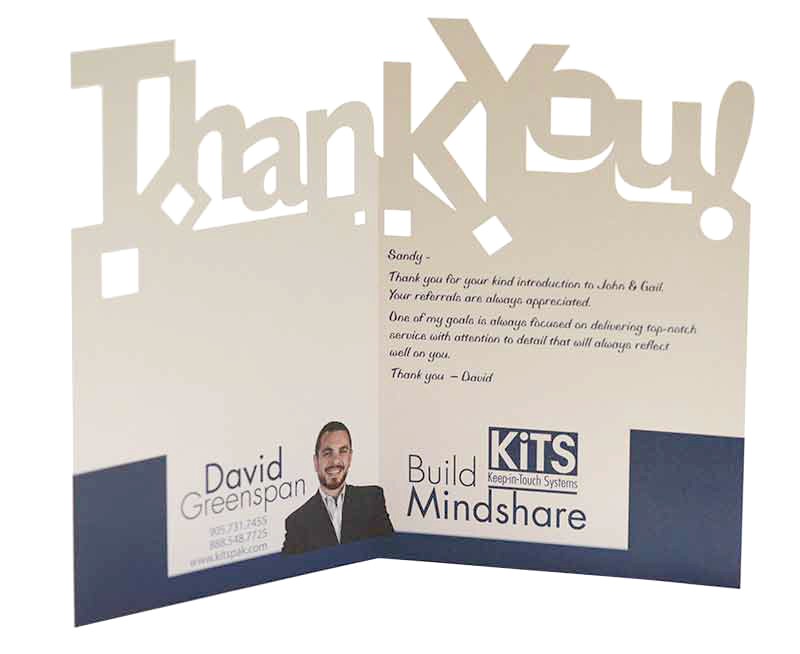 Personalized To Them …it’s KiTS! Track Referrals & Say - Thank You. Track & Send. One Place. One Action. Who: A Thank You Card - Branded from You & Personalized to Your Contact.